As we go about our busy lives, here’s quick food for thought on taking “rest breaks”. Enjoy, and feel free to share your own practice or experiences in the comments below! Here’s Day 3 — the final “ingredient” to enhance your sowing and progress in anything you want to “get good at” in business and in life. Can you guess what this one is? 4) Time block — block off shorter segments in your day to totally focus on a specific project, task, or intention. Then re-assess at the end of that block to set your intention for the next “segment” of your day. 5) Pattern interrupt — avoid zoning out on email, facebook, internet searches, etc. Periodically step away from the computer/phone — stand up, get a drink of water, go for a short walk — or even a bike ride — to re-energize, refresh, and re-focus. You’ll find yourself more “on purpose” and more productive than if you never took the break. There you go! Which one can you act on today? In the next hour? What’s one of your favorite tips for increasing energy and focus throughout your day? Feel free to share in the comments below! P.S. Want a free 7-day guide by email for feeling your best in just minutes a day? Get yours here. Quick tips for creating powerful change in an instant — Enjoy! thought you’d benefit from these perspectives as well — Enjoy! free to share your own experience in the comments below. So what’s all this about and what does it mean for you and me? exercise and staying active, and a healthy attitude & mindset. the health and function of your cells? more youthful, vibrant pattern – in a natural and balanced way. something you enjoy each day. blessed and vibrant holiday season! how to maximize your health in just minutes a day. 2) Focus on what you CAN do. Often we get so overwhelmed by what we’re not doing that a part of us just shuts down…whereas if we simply take the next step we CAN take – the process of simply moving forward feels good and “unlocks” the feeling of being stuck, thus turning into feel-good, forward-moving momentum. 3) Give thanks – find something to appreciate. 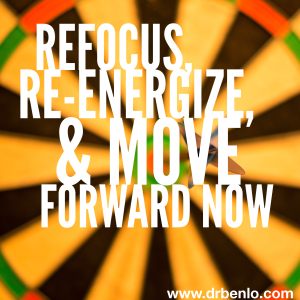 You’ll immediately feel better and have fresh energy for re-engaging with life. 4) Re-focus with intentional questions – what do you really want? What are three things you can choose to put in place right now to move toward what you want? If you’re feeling badly about something that’s not getting done – or perhaps a relationship or area of your life or business that’s not getting attention right now – rather than continuing to feel badly, simply ask yourself, “is this important to me?” and if so, “what’s a step I can take to start sowing in this area this week? Now to really anchor and apply what you just read, how about choosing one of the four and practicing it for a moment right now? Here’s to a prosperous and wonderful week! min’s (or even less) but gives you 6-8 hours worth of results? is…and are you deliberately practicing it on a daily basis? mind before going to bed. appreciate…that you’re thankful for…that you love. things you’re thankful for – can immediately shift how you feel. I had a powerful experience with this practice just this weekend. before I remembered what I was happy about. and every night for the next 30 days? What if you could get more return on your action? A Moment of Appreciation Plus 4 Questions to Move You Forward This Month!